Is NeXt a Better Way to Buy Into Facebook Before the IPO? Over the next couple years, it looks like a bumper crop of top-flight social networking companies will hit the IPO markets, among them Facebook, LinkedIn, Groupon and Zynga. Of course, Goldman Sachs (GS) has already started angling for the Facebook offering by investing $450 million in the company. There was also a $1.5 billion allocation for its clients, requiring a $2 million minimum buy-in. It's just another proof of the old saying: "The rich get richer." 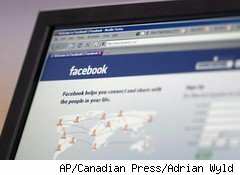 Ordinary investors will have to wait until after Facebook goes public -- when the price is likely to be at much higher valuations. Or will they? Do you really have to wait for the IPO to get in on the action? It's already possible to buy pre-IPO shares through online marketplaces such as SharesPost and SecondMarket. But the liquidity is often lacking -- resulting in higher costs -- and it can easily take a month to complete a transaction. Soon, though, there may be an alternative. Several Silicon Valley veterans are creating a new fund called NeXt BDC Capital. The goal is to raise $50 million in capital and trade on Nasdaq under the symbol "NEXT." NeXt Capital will be structured as a closed-end mutual fund. This means there will be a fixed number of shares and investors won't necessarily be able to redeem their holdings at the fund's net asset value (NAV) -- which is the value of the portfolio minus the expenses and any liabilities. It's common for closed-end funds to trade at a discount to their NAV, for reasons including operating expenses and liquidity problems. The focus of the NeXt Capital portfolio will be on top-quality venture-backed firms, with investments in common and preferred stock as well as warrants. At the start, it will hold stakes in between 15 and 30 such companies. In such a venture, a strong management team is critical to success, and NeXt Capital certainly has one. The president is Michael Moe, a co-founder of ThinkEquity, an investment banking firm focused on early-stage companies. Prior to that, he was the head of global research at Merrill Lynch (BAC). And, he's the author of the book, Finding the Next Starbucks: How to Identify and Invest in the Hot Stocks of Tomorrow (Penguin/Portfolio Books, 2006). Other key managers at NeXt include Stephen Bard and Luben Pampoulov, who have a combined 50 years of investing experience between them. Their backgrounds include research, investment management and private-company investments. These portfolio managers are also involved in NeXtUp, a research firm that has proprietary coverage on more than 30 privately held companies including Twitter, LinkedIn, Zynga and Bloom Energy. For years, IPOs have been in a serious drought. From 2001 to 2010, there were only 422 venture-backed deals. This compares to 2,728 transactions between 1991 to 2000. So there is likely to be pent-up demand for public offerings. Investing in a fund like NeXt Capital is an interesting way to play this. It provides diversification and day-to-day monitoring. More importantly, the NeXt Capital could see lots of price appreciation as its portfolio companies begin to hit the IPO market, which is likely to happen in the second half of this year. Yet investors should still be cautious. There were a variety of venture-type funds such as CMGI back in the dot-com days. While they performed extremely well when the Nasdaq was surging, they quickly fizzled when the markets plunged. In other words, an investment in NeXt Capital is likely be for those with a short-term horizon.